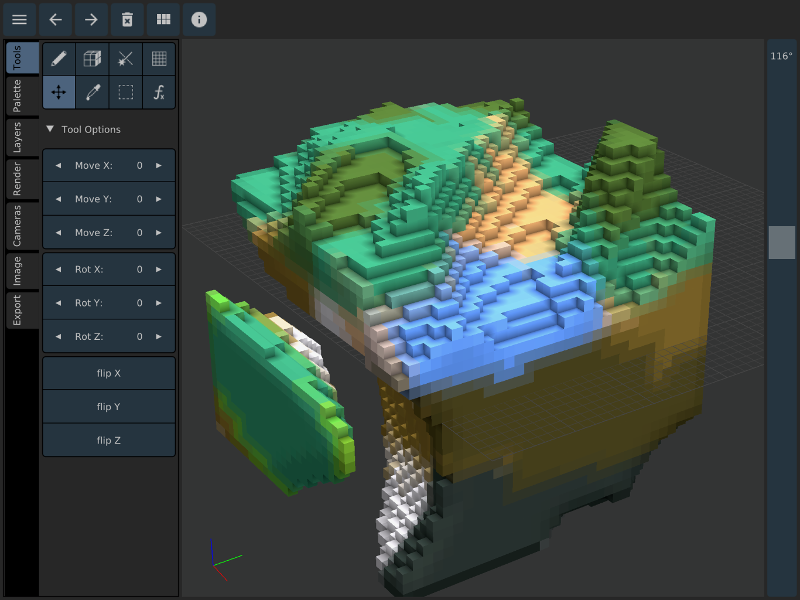 Goxel is an open source 3d editor to create voxel art. This is based on a small voxel engine I originally wrote for mobile games. I created this project mainly because there was no other open source voxel editor running on Linux, even though Goxel now runs on Windows and OSX. I recently made an iOS version, that I sell on iTune. I hope that I can make some money from it, which would encourage me to keep working on the project. - 24 bits RGB colors. - Export to obj, pyl, png, magica voxel, qubicle, pov. The code is mostly written in C99, with bit of C++ for the UI (based on the 'dear imgui' library). 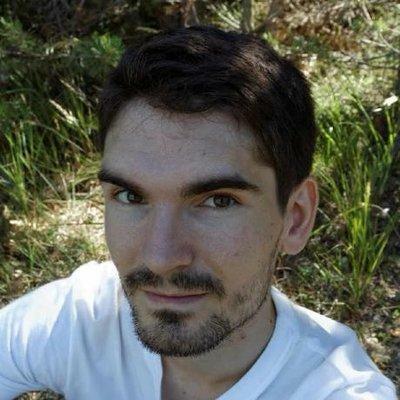 I tried to limit the dependencies to a minimum so that the code is easily ported to any platform. Goxel got accepted in Handmade network.